A scarf is a necessary accessory for any winter outfits! It adds a special charm to looks and helps to stay warm during cold winter days. So today we want to focus on an interesting type of scarves that is easy-to-wear and looks unique – an infinity scarf. 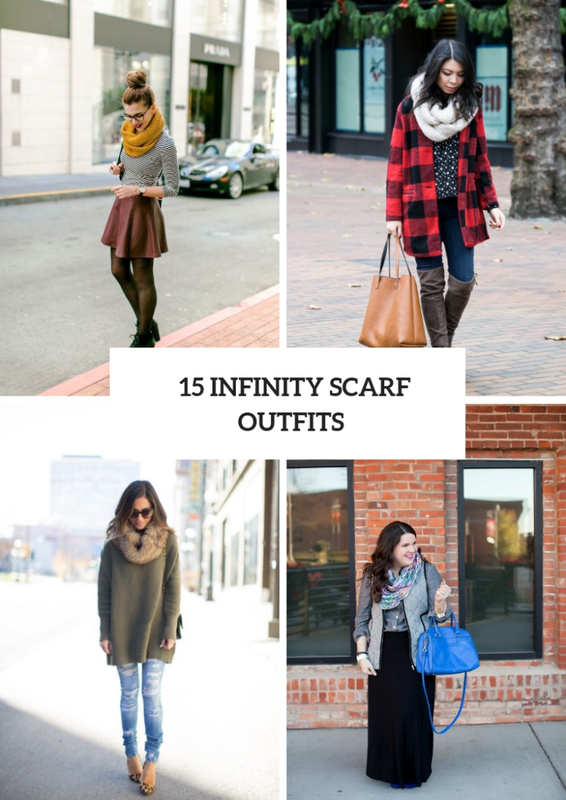 There are so many infinity scarves so, first of all, you should decide what color you scarf will have, and you can choose from basic to eye-catching bright colors depending on colors of the whole outfit. Below you can find ideas how you can combine your scarf with pieces of clothes, other accessories and shoes and create comfy and awesome looks. Enjoy! 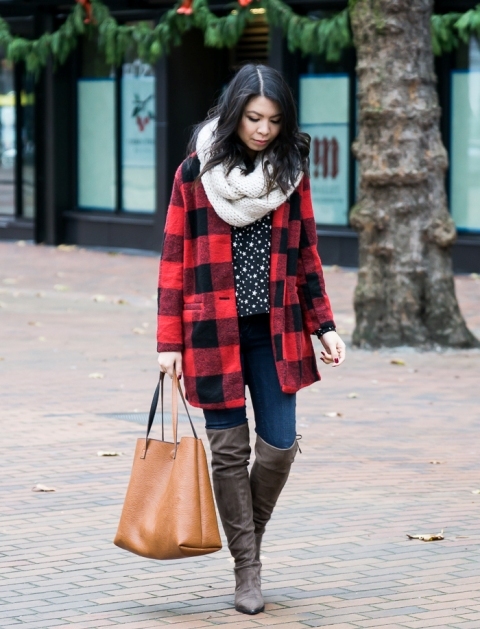 Such scarves look perfect with plaid items, so you can take a printed shirt and combine it with a black and red plaid mini coat, skinny jeans, gray suede over the knee boots, a white infinity scarf and a brown leather tote. Or you can choose a green and navy blue plaid button down shirt and mix it with distressed pants, a beige scarf, flat shoes and a tote. 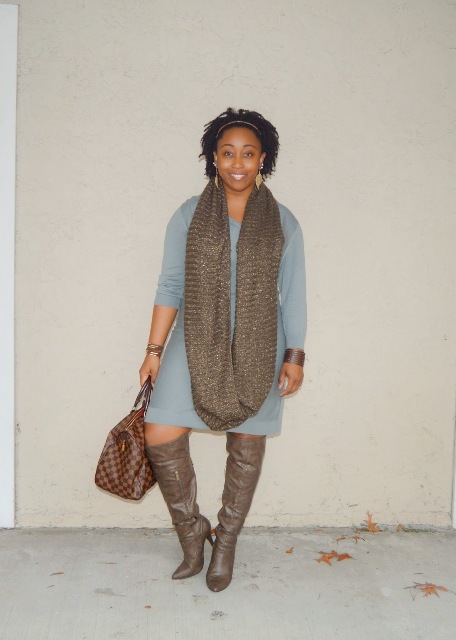 For colder days you can find a faux fur infinity scarf and pair it with a olive green loose long sweater, light blue distressed skinny jeans, leopard pumps, sunglasses and a chain strap bag. If you want to create a casual outfit, then you can take a black shirt and mix it with a tweed and leather jacket, a cobalt blue infinity scarf, a metallic mini skirt, black tights, embellishes ankle boots and a three colored tote. Or you can try to repeat a combination with a navy blue sweater dress, a navy blue scarf, an oversized plaid coat, a long gloves, a brown leather bag, lace up flat shoes and black knee high socks.